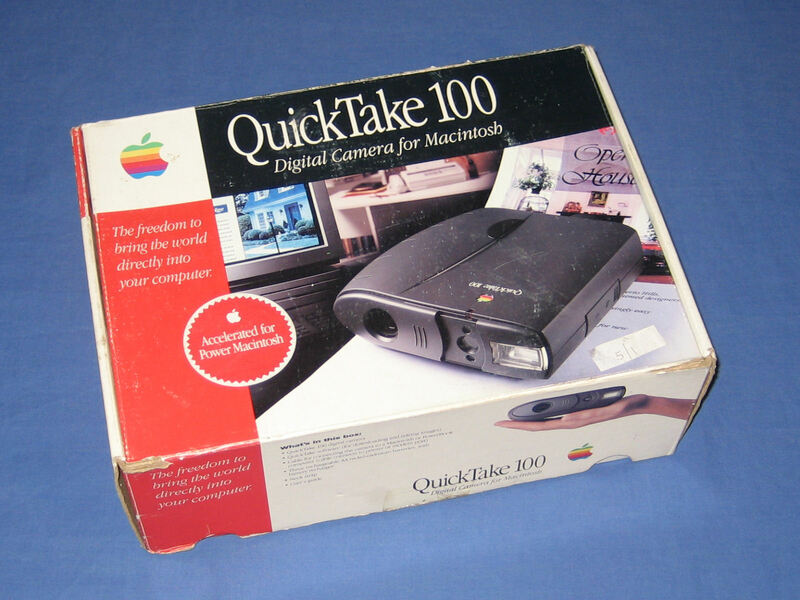 The retail box for the QuickTake 100. 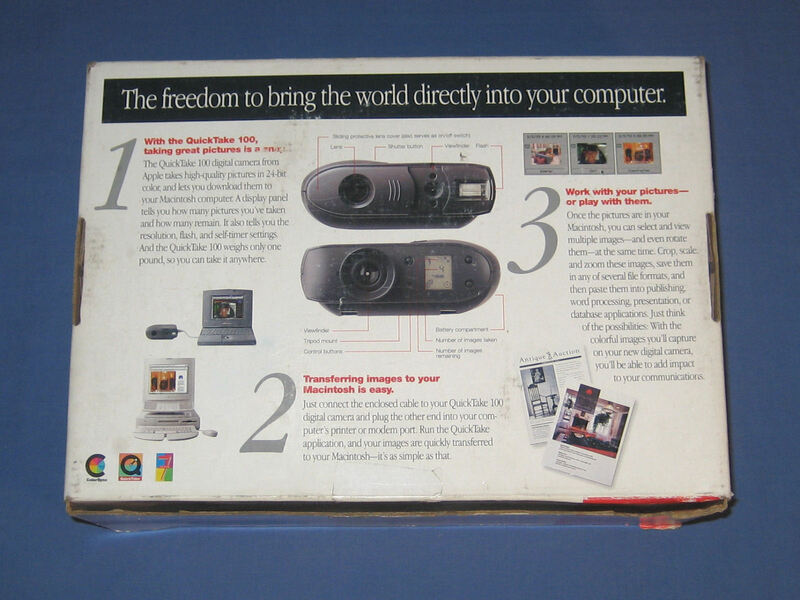 The back of the retail box. 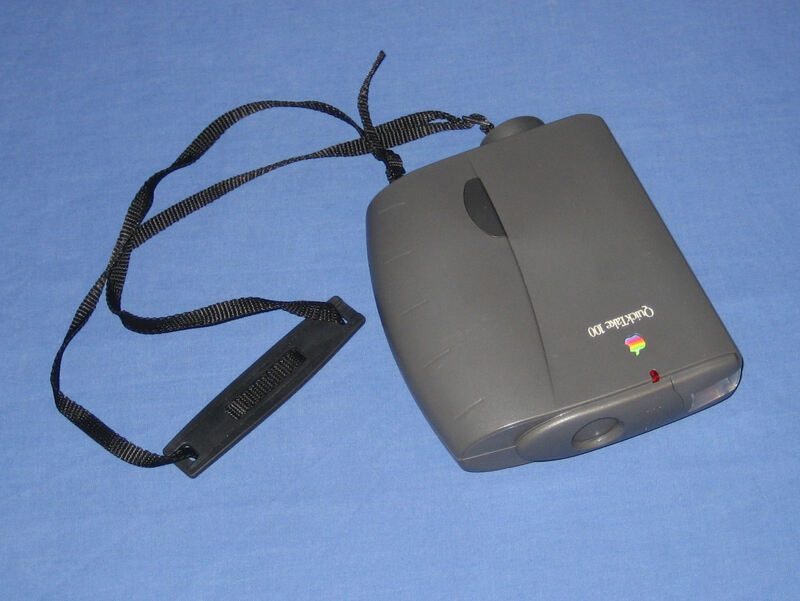 The top of the camera and its carry strap. The shutter button is located on the top. 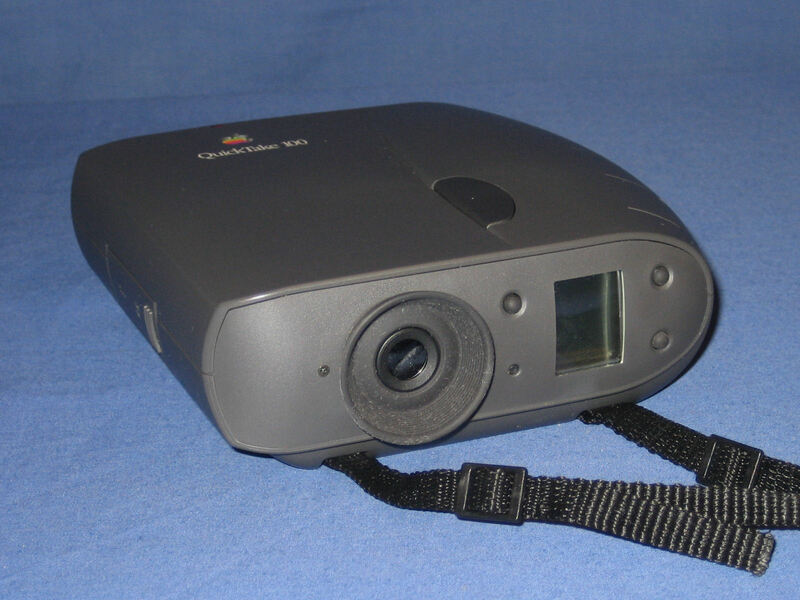 The rear of the camera features the viewfinder and a basic LCD display for viewing the status of the camera. 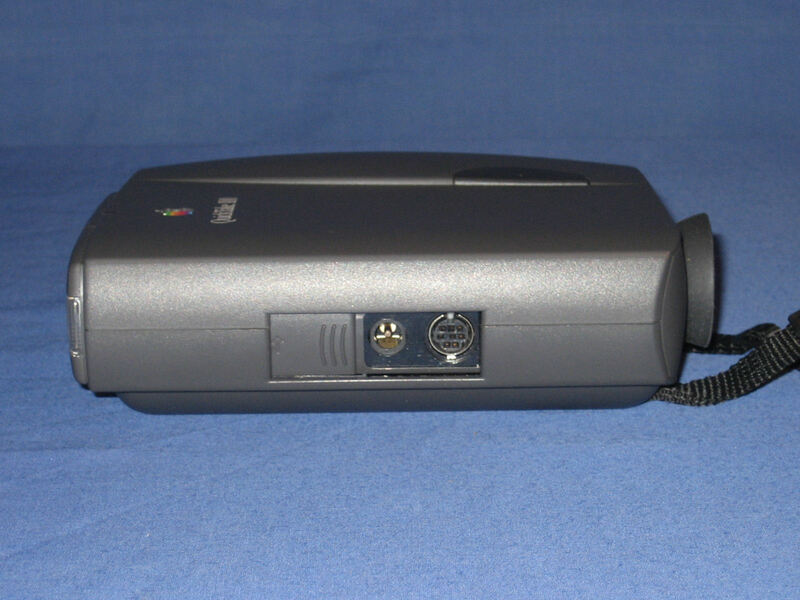 Behind a sliding cover on the left side of the camera are the power and serial connectors. 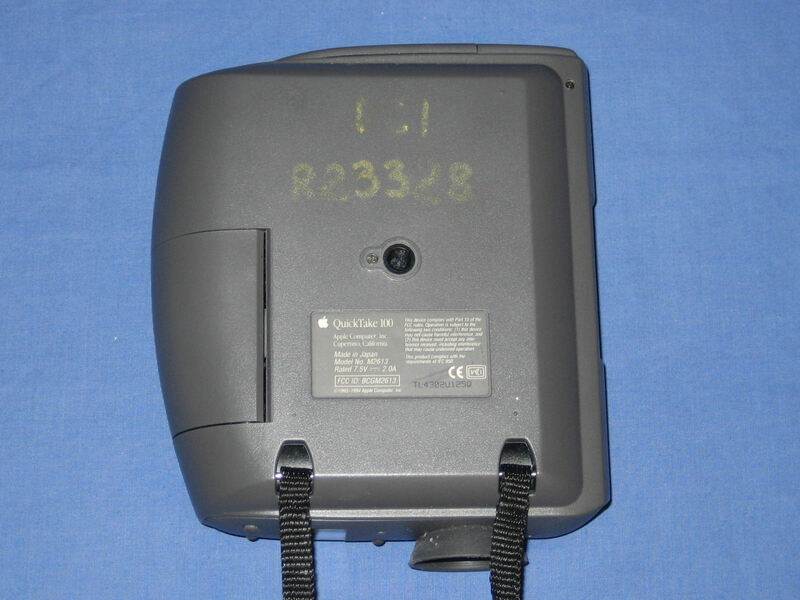 The underside of the camera. In the middle is the tripod socket and on the left is the cover for the battery bay.